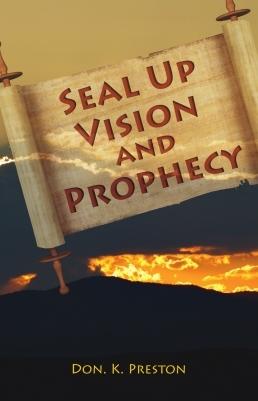 This powerful, well documented book totally refutes the doctrine of postponement! Great Stuff! But, what many do not realize is that a doctrine of postponement likewise lies at the root of the Amillennial and Postmillennial world. Now, there is a distinction between these postponement views. The Dispensational view says Jesus came to establish the kingdom, but due to the Jewish unbelief, God suspended the prophetic countdown and established the church. This is not the Amillennial or the Postmillennial view. Nonetheless, both of these schools of thought do have a type of postponement doctrine. Here is what I mean. “Because of Jesus Christ and his coming, the Christian possesses the complete fulfillment and blessings of all the promises of the messianic age made under the old covenant. But, the arrival of the messianic age also brought with it a new series of promises to be fulfilled at the end of the age. The fulfilled promises pointed to a more glorious and future fulfillment. This is called the ‘not yet’ or future eschatology. It is this already/not yet tension which serves as the basis for understanding much of the New Testament eschatological expectation.” (Kim Riddlebarger, In Defense of Amillennialism, (Grand Rapids; Baker, 2003), 61). Bruce Longenecker commented on Galatians 1:4: “Paul inserts an unexpected (and therefore important) eschatological reference that highlights the triumph of God in the dawning of the new age, the new world is distinguished from the evil world of the old (which is nonetheless still ‘present’ until its final eradication). (Bruce Longenecker, Triumph of Abraham’s God, (Edinburg; T & T, 1998), 46). C. H. Dodd wrote: “From these and many similar passages it is surely clear that, for the New Testament writers, in general, the eschaton has entered history; the hidden rule of God has been revealed; The Age to Come has come.” (C. H. Dodd, The Apostolic Preaching and its Development, (Hodder and Stoughton, 1936), 18). Now, the pressing question is, if the New Creation has broken in, and Christians are now in that New Creation, why doesn’t the mandate / condition of no marrying or giving in marriage not apply NOW? The fact is that any admission that we are currently in “the age to come” in any sense belies the argument that preterists are inconsistent to affirm that we are in the age to come and yet we are married. Clearly, the men above admit we are in the age to come, yet, they are themselves married!. Be sure to be watching for my upcoming book, Marrying and Giving in Marriage…In the New Creation? If fall goes well, it will be published early in 2018. This book is a devastating refutation of the “there is no marrying in the age to come” argument offered by Postmillennialists and Amillennialists. There is literally not another book like it! Here, YHVH, in the prediction of the New Creation, asks this rhetorical question. Will He bring His purpose to the time of fulfillment– birth – and not bring those promises to fulfillment? The form of the question demands that the answer is “NO!” God would not bring the time of fulfillment to reality and not then fulfill His promise – on time! In other words, at the time that He appointed, He would fulfill His promises. And those promises in view were the promises of the New Creation! “Painless childbirth (cf. Genesis 3:16) is a symbol of Eden restored and the curse removed. The picture is of motherhood without labour, i.e. the child is really hers but at no cost. Delivers (the hiphil of malat) is only here used of the delivery of a child (cf. 34:15, where it is used of a bird laying eggs). ….” “the instantaneous springing into being out of a whole new society by supernatural birth. For the actuality of it is Zion and her sons. They are her children, but their birth is by the unique, humanly unheard-of processes of verse 7, a work of God (as verse 9 proceeds to ‘explain.’” (Alex Motyer, The Prophecy of Isaiah, (Downer’s Grove, Ill; IVP Academic, 1993), 536-537). “The verse, then, expresses two truths. First, the illustration of a process well advanced, but not brought to its completion (9ab) shows that the Lord does not proceed so far with his purposes only to abandon them before they are fulfilled. Secondly, the illustration of something begun and frustrated before it can even move toward fulfillment (9cd) shows that the Lord does not begin what he does not propose to finish.” (1993, 537). Motyer is clearly stating that Isaiah 66 falsifies any doctrine of postponement! Commenting on how YHVH asks the question: “Shall I bring to the time of delivery and not bring forth?– that this was said to comfort those who were “the barren daughter of Zion.” “(p. 501) – Jehovah will complete the bringing to the birth, He will not ultimately frustrate what He has almost brought to completion.” (In Loc, p. 501). The promise under consideration was the promise of the New Jerusalem, the New Creation, where there would be no need of the sun or the moon – just as Revelation 21-22 anticipated. So, in Isaiah, the Lord foretold the New Creation. He said that when the time for fulfillment arrived, He would hasten the fulfillment. He would not prolong. See Romans 9:28. The Lord assured Israel that her salvation, that would flow from her to the nations, would not be postponed, not delayed. He would fulfill on time! Isaiah 66 forbids any doctrine of postponement! So, that raises the question, what would be the time of the birth? When would the Lord bring to the time of deliverance? The answer to those questions is to be found right in Isaiah 65-66 and a host of other prophecies. “Remember’ is a common term associated with covenants. It does not mean that God forgets and needs a reminder. The verb could be idiomatically rendered ‘to act in order to fulfill the covenantal oath or obligations” (Jason Meyer, The End of the Law, NAC Studies in Bible and Theology, (Nashville, TN; B and H Academic, 2009), 245, n. 41). He cites Massyenberde Ford (p. 275) – “The phrase suits the liturgical setting of the text. The libations have been poured out, but instead of the memorial being a turning of God towards his people with grace and mercy, it is for judgment. God’s ‘remembering’ is always an efficacious and creative act, not a mere intellectual activity; he remembers in the act of blessing (transmitting vitality or life) and cursing (destroying). The irony of v. 19 lies in the exhortation to Israel to ‘remember’ God’s covenant and kindness in general She was especially admonished, as in Deuteronomy 6, to keep a perpetual remembrance of the Exodus and Sinai events, to recall them day and night, and never to forget God who brought them to pass… In this chapter the author intimates that because Israel forgot and became arrogant, the Egyptian plagues were turned back on her. Even then she did not repent but blasphemed (cf. Job 1:22; 2:10), and God remembered her for judgment.” (David Chilton, Days of Vengeance, (Ft. Worth; Dominion Press, 1987), 416). What both Meyer and Chilton are saying is that “remember” has both a positive and a negative connotation. Positively, for the Lord to remember His covenant with Abraham and the Worthies, or with Israel, was to fulfill those covenant promises. But, to remember the covenant in a negative sense meant that the curses and the penalties for violating that covenant would also be brought to bear on Israel. In this stunning, and hugely important prophecy, we are told that in the Messianic kingdom, the Ark of the Covenant would no longer be remembered! That means it would lose its covenantal significance! To say that this is devastating to the Dispensational paradigm is a huge understatement of course. And notice that it also says that the ark would never be built again! Well, if the Ark will never be built again, that means it was destroyed at one time. Thus, all of the modern claims that the Jews know where the Ark is and are just waiting for the right time to unveil it are specious. The point is that in the Messianic Kingdom, the Ark would no longer be covenantally significant! Torah would pass! So, when one considers the meaning of “remember” this means that the promised New Creation would come when the Old Covenant was remembered by YHVH, in bringing the Covenant curses of Torah – Deuteronomy 28-32 – to bear on Israel This consummate judgment would make that Old Covenant to pass away, and to never be “remembered” again. This means that the time of the birth – the bringing in of the New Creation – must be interpreted within the context and framework of the end of the Old Mosaic Covenant. It would not be, as both Postmillennial and Amillennial writers claim, at the end of the current Christian age! This is the very epitome of Covenant Eschatology! Similarly, the timing of the New Creation is posited in the Old Testament for “the last days” (Isaiah 2:2f / Joel 2:28f, etc. ). Thus, when Peter stood up on Pentecost and affirmed that Joel’s prophecy of the establishment of the kingdom through the outpouring of the Spirit was being fulfilled that day, this means that the time for the birthing of Isaiah 66 had arrived. Just as Jesus said that the OT prophets had longed to see the day of the fulfillment of their prophecies, but did not see it, but that his own disciples were seeing it (Matthew 13:17), this demands that the time for the birthing of the kingdom had come. And remember, God said He would not bring to the time of fulfillment and fail to fulfill. ✔ The time of Israel’s rebellion – Isaiah 65:1-3. In Romans 10:20f Paul quotes directly from these verses and applies them to his day and to his ministry, in regard to Israel’s rejection of the Gospel and the subsequent calling of the Gentiles. ✔ The time of the calling of the Gentiles – Isaiah 66:19f – Needless to say, Paul was the apostle to the Gentiles, and, he tells us repeatedly that his ministry was the fulfillment of those OT prophecies like Deuteronomy 32:20/ Isaiah 65-66. ✔ The time of the salvation of the remnant – Isaiah 65:8 – in the time of the New Creation. YHVH would save a remnant. See also Isaiah 10:20 ; Amos 5:1-2, and a host of other passages, including Isaiah 66:18f). Need we remind the reader that Paul speaks repeatedly of the salvation of the remnant in Romans 9-11 as on-going in his day? ✔ The time of the destruction of the Old Covenant people – Isaiah 25:1-2 / Isaiah 27:9-12 / Isaiah 65:13f / Isaiah 66:3-6 / Daniel 12:2-7). Needless to say, Jesus foretold the impending judgment and destruction of Old Covenant Israel for his generation (Matthew 24). In light of these facts, consider then that Jesus and the New Testament writers undeniably posited the Great Tribulation– i.e. the birth pangs that would result in the New Creation of Isaiah 66 – for the first century generation. This is incredibly important, so in our next installment we will examine that motif. 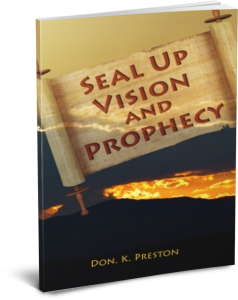 Be sure to get a copy of my book, Seal Up Vision and Prophecy for a full discussion and refutation of the doctrine of postponement. Daniel 9 falsifies the doctrine of postponement!